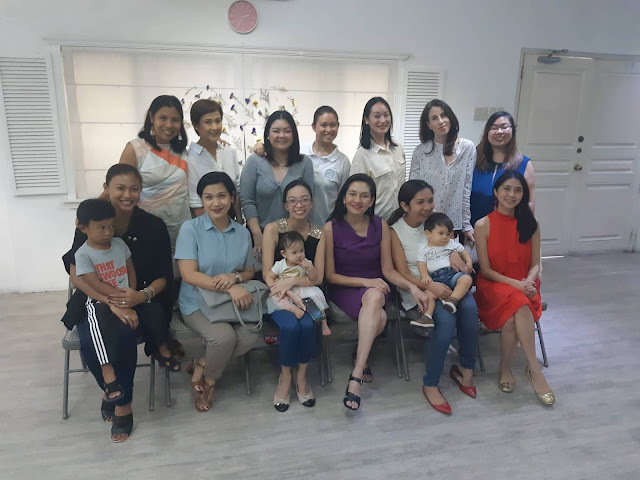 Last Wednesday, I had the pleasure to be in a group of women in an intimate discussion with Senator Risa Hontiberos (Princpal Sponsor and Author, Senate) on the 105-Day Expanded Maternity Leave Law or RA11210 at The Parenting Emporium. I remember this law was already in the talks when I was still working a year ago. Moms in the work place were all joking to avail of it right away. And of course to be able to avail this expanded maternity leave, we all have to get pregnant again. I remember how it was just every working mom's wish, now it's actually happening! Though I may not be part of the work force anymore, I rejoice with all my working moms friends and all working mothers in general both in the government and private sector for this development even those belonging to the informal economy who's had at least three (3) SSS monthly contributions a year before giving birth. More than anything, this law is a celebration of motherhood as she extends her bonding time with the newborn during the crucial first few months of life, establishes breastfeeding pattern or routine, is given a longer time to recover physically and past the baby blues, and comes back to work in tip top shape and pink of health. To begin talking about getting over a new mom's baby blues would require another long post. 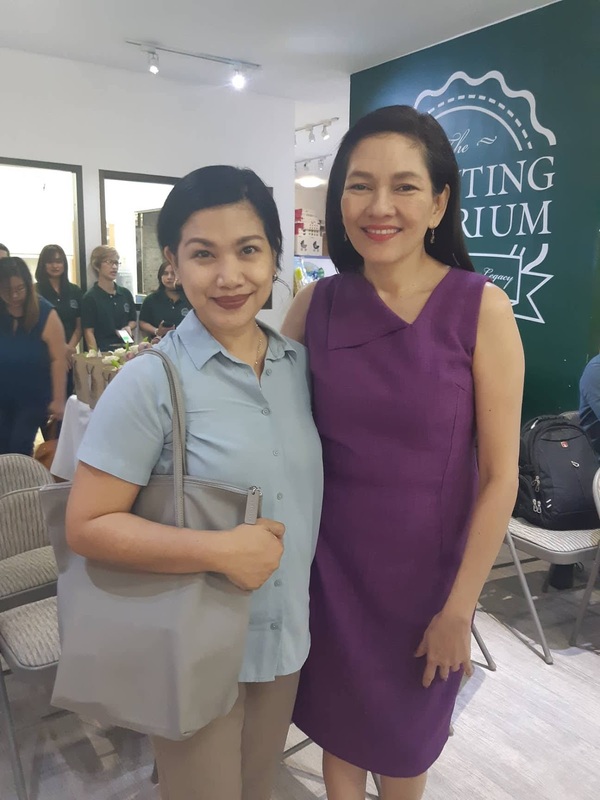 I feel joyous that finally, working mothers' after childbirth needs and health conditions are now recognized and are addressed fairly by this law. It's about time because other countries have long time implemented this with even longer number of days. I experienced maternity leaves twice in my last workplace. When it was time to.come back, I found it hard to leave my infant behind feeling as if the maternity leave wasn't enough. It sure was heartbreaking for me, but I (and many other working moms for sure) had no choice, but to come back to work. Every day I had to cry before leaving the house and condition myself on my way to the office. I wasn't able to establish a healthy breastfeeding routine with my second. 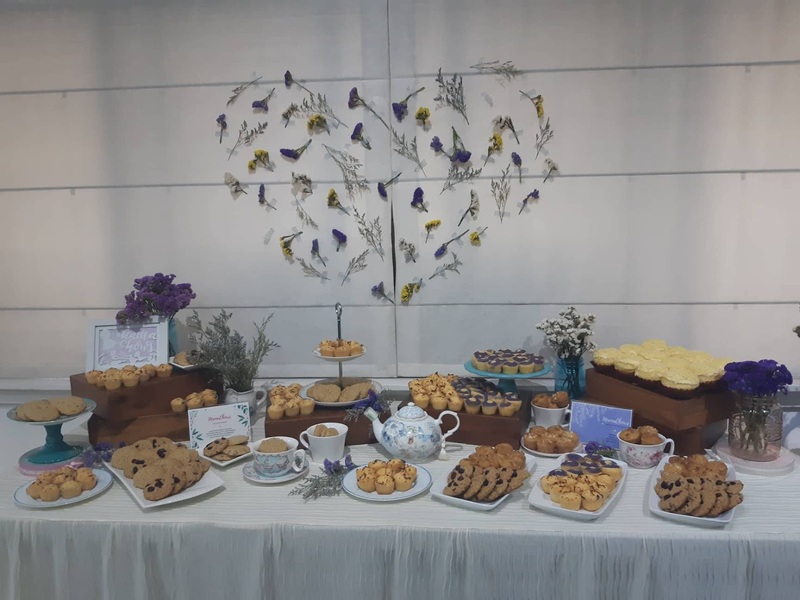 At that time as well, there weren't any proper nursing area, no massive community support for breastfeeding, limited available breastfeeding products, and educational materials weren't as present as they are now. That's why, I had to pump in the restroom crying and feeling sorry for myself, feeling as if I wasn't giving my best to my newborn, which of course affected the breast milk I produced. I learned that I wasn't over the baby blues when I was back to work immediately. 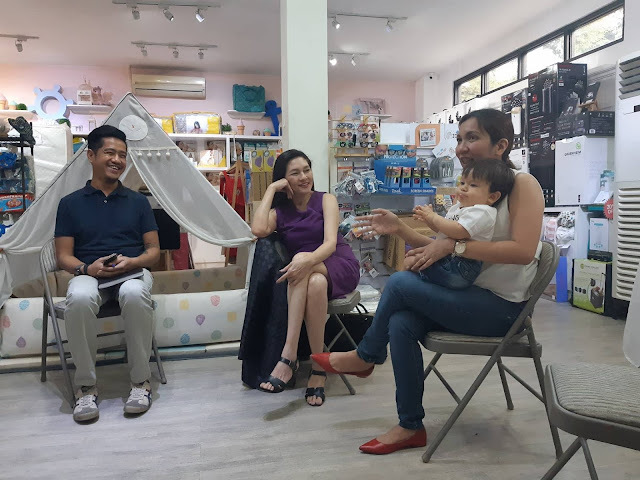 Had this 105-Day Expanded Maternity Leave Law been enforced back then, I would have been over my postpartum blues, I would have established my breastfeeding routine and milk production without unnecessary stress, and I would have been back to work feeling thankful to the company I work for for not taking me away from my newborn too early - and in tip-top shape. 1. Who can avail of the 105-day Maternity Leave? All covered female workers in government and the private sector, including the informal economy, who gave birth after March 8, 2019, are entitle to 105 days maternity leave, with an option to extend for 30 days unpaid. Solo mothers shall be given an extra 15 days above the 105 days. 2. How many times can Maternity Leave be availed of? Under RA 11210, Maternity leave can be availed of at every instance of pregnancy, miscarriage or emergency termination of pregnancy. 3. How many days leave does a covered female worker get for miscarriage? For miscarriage, a covered female worker will be entitled to 60 days. 4. How much maternity leave monetary benefit will be a covered female worker be entitled to? d. Those who are already providing similaror more than the benefits herein provided. 5. What about the DADDIES? Any female worker entitled to maternity leave benefits may, at her option, allocate up to seven (7) days of said benefits to the child's father, whether or not the same is married to the female worker. The female worker's leave is then reduced to 98 days. 6. How does this harmonize with current Paternity Leave law? The current Paternity Leave law grants 7 days paternity leave to the father of the child, if he is married to the female worker. Thus, a married new father can enjoy as much as 14 days leave (7 days Paternity leave and 7 days under RA 11210). An unmarried new father, on the other hand, may enjoy 7 days allocated leave. 7. What if there is no father? The law provides that in the death, absence or incapacity of the father, the benefit may be allocated to an alternate caregiver who may be a relative within the fourth degree of consanguinity or the current partner of the female worker sharing the same household upon the election of the mother taking into account the best interests of the child. 8. What about informal workers? Female workers in the informal economy are entitled to maternity leave benefits if they have remitted to the SSS at least three (3) monthly contributions in the twelve (12) months period immediately preceding the semester of her childbirth, miscarriage or emergency termination of the pregnancy. 9. How do we ensure that employers comply with the new law? Whoever fails or refuses to comply with the provisions of this Act shall be punished by a fine of not less than Twenty thousand pesos (P20,000.00) nor more than Two-Hundred thousand pesos (P200,000.00), and imprisonment of not less than six (6) years and one (1) day nor more than twelve (12) years or both. If the act or omission penalized by this Act shall be committed by an association, partnership, corporation or any other institution, its managing head, directors, or partners shall be liable to the penalties provided in this Act for the offense. Failure on the part of any association, partnership, corporation, or private enterprise to comply with the provisions of this Act shall be a ground for non-renewal of business permits. As explained during the discussion at The Parenting Emporium with other moms (who by the way came up with so many questions and raised many scenarios such as household helpers, contractual employees, etc. ), this law is retroactive. Meaning, even if this is not finalized at this time, once the IRR has come out with the fine prints and details of this law, carefully considering all possible scenarios, all working moms who gave birth after March 8, 2019 shall be covered. So there you have it working moms! This is definitely one great news to all mothers, working or not, because this is a win for all women in general. As they say real queen mothers fix another queen's crown. Let's rejoice for every mothers because finally, a voice for us is being heard!